The Palestinian presidency expressed its absolute rejection of the series of decisions issued by the US administration on Jerusalem and the Syrian Golan Heights, WAFA reported. "Sovereignty is not decided by either the US or Israel no matter how long the occupation lasts and that the Palestinian issue, Jerusalem and its holy sites, and the occupied Palestinian territories are Palestinian, Arab, and international red lines that cannot be crossed," the presidency said in a statement. "No one has legitimacy without Security Council resolutions, the UN General Assembly and the Arab peace initiative," the statement quoted President Mahmoud Abbas as saying. He also reiterated his condemnation for recent Israeli escalations in the Gaza Strip. Speaker of the Arab Parliament (AP) Mashal bin Fahm al Salmi has strongly condemned Trump's proclamation, which officially recognizes the occupied Syrian Golan Heights as part of Israel. The decree signed by Trump earlier in the day has no legal force and violates UN Security Council resolution No. 497 of 1981, which annulled Israel's annexation of the occupied Golan Heights, Salmi said. He further called on the international community, particularly the UN Security Council, to abide by resolutions of the international legitimacy, which considers the Golan Heights as an occupied territory. The Lebanese Ministry of Foreign Affairs decried on the US proclamation on the Golan Heights. "The Golan Heights is a Syrian Arab territory and no decision could change this fact nor may any state falsify the history of this territory" said a statement released by the ministry on Monday evening. The ministry also slammed Israel's ongoing air-force attacks in Gaza. United Nations Secretary-General Antonio Guterres is "clear that the status of Golan has not changed," UN spokesman Stephane Dujarric said after Trump recognized the Golan Heights as Israeli territory. "The UN's policy on Golan is reflected in the relevant resolutions of the Security Council and that policy has not changed," Dujarric said. Israel seized the strategic land from Syria in the 1967 war. A UN Security Council resolution adopted unanimously by the 15-member body in 1981 declared that Israel's "decision to impose its laws, jurisdiction and administration in the occupied Syrian Golan Heights is null and void and without international legal effect." It also demanded Israel rescind its decision. Spokesman for the House of Representatives Salah Hasaballah rejected Trump's proclamation on Golan, describing the occupied heights as a "100-percent Syrian territory". 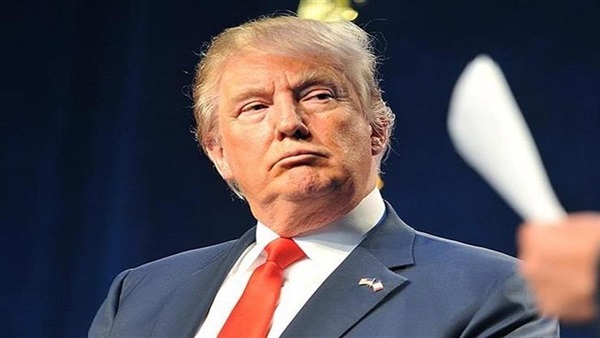 Trump's proclamation would not change the reality and history of the Syrian-Arab Golan land, he added in a statement. Hasaballah hailed the Egyptian firm stance in this regard. He urged the international community to constructively cooperate for respecting the resolutions of international legitimacy and the Charter of the United Nations.